London Drugs Canada has good offer available now that includes: Save $20 off your purchase of $100 or more when you use Visa Checkout. This offer is available for the first 1250 customers who use Visa Checkout on londondrugs.com for a purchase of $100 or more using Visa Checkout within a single transaction, before taxes and shipping charges applied. This offer is valid until January 1, 2018. Click here to get more information about this offer. 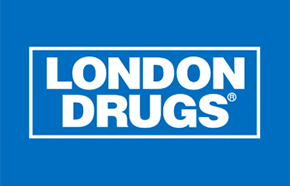 Click here to view London Drugs Canada flyer. 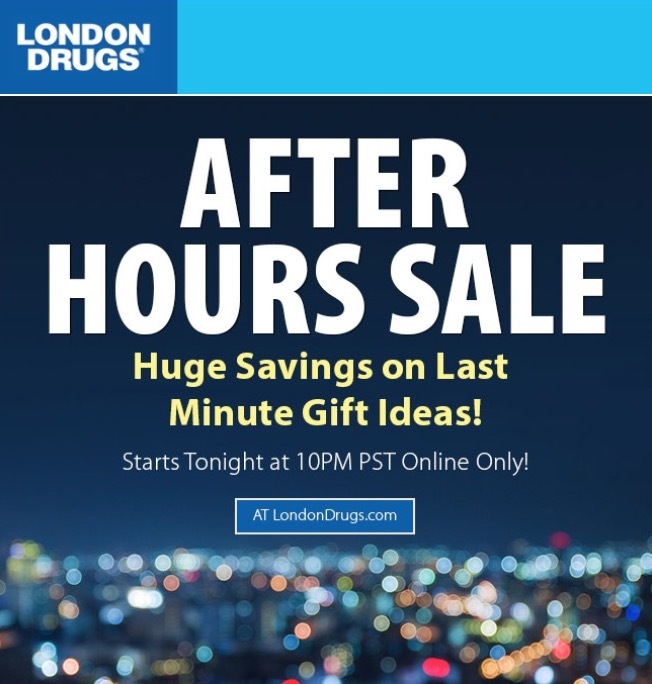 London Drugs Canada Pre Boxing Day After Hours Sale, Tonight at 10:00PM PST, Online Only! London Drugs Canada has an awesome Pre Boxing Day After Hours Sale, starts tonight at 10:00PM PST, Online Only. Enjoy huge savings on last minute gift ideas. This London Drugs Pre Boxing Day After Hours Sale is valid online only, today December 23, 2017 and starts at 11:00 pm PST. Click here to view London Drugs flyer. Get 25% off when you spend $150 or more and pay with Visa Checkout at London Drugs. Limited time offer only. Boxing week saving is up at London Drugs Canada. Offer valid through December 26th, 2015 to January 1st, 2016. Hurry !